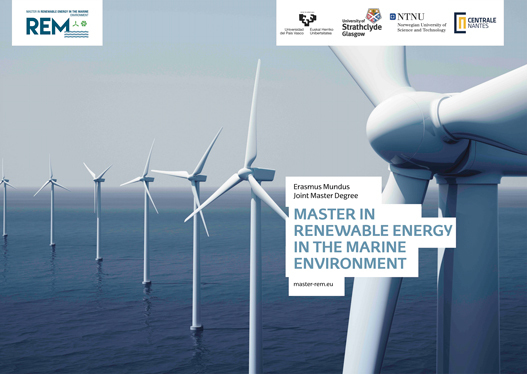 The Master in Renewable Energy in the Marine Environment provides scholarships for specialized scholars in the fields of study of the master. Specialized Scholars are high achieving researchers with a wide experience in fields related with Renewable Energy in the Marine Environment, although other topics such as Deontology, Regulatory Framework, Insurance, Economy and related fields will also be considered. Individual scholarship of 1,200 € for non European candidates and 1,000 € for European candidates will be awarded for a week stay(1) (incl. travel expenses & accommodation costs); the candidate might stay longer according to convenience but the budget is limited to the amount awarded. Selected Applicants, with a final score higher than 8 out of 10, will receive an Invitation letter from the JPB with all the details. A final confirmation of its acceptance must be sent back by the Granted Scholar. Contribute, after their visiting scholar activities, to the promotion and dissemination of the Erasmus Mundus Programme in general, and the EMMC concerned in particular, in their institution and country of origin. Produce a report on the activities carried out during the stay that will be submitted to EACEA.